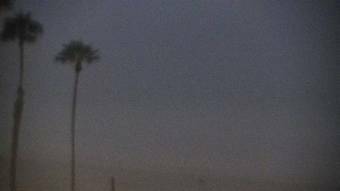 Webcam Huntington Beach, California: 17th Street Surfcam - Live streaming webcam with current surf conditions and weather forecast. Huntington Beach, California: Huntington Beach Pier, 1.4 mi. Fountain Valley, California: Talbert Middle School, 5.1 mi. Laguna Beach, California: HD Stream Laguna Beach, 15.9 mi. San Pedro, California: Livestream Port of Los Angeles, 15.9 mi. Fullerton, California: California State University, 16.4 mi. Dana Point, California: Oceanview, 22.9 mi. Rancho Palos Verdes, California: Point Vicente, 23.3 mi. Rancho Palos Verdes, California: Point Vicente Lighthouse, 23.5 mi. This webcam Huntington Beach, California with the theme Beaches was added on October 14, 2010 and is operated by Surfline. It got 2063 visitors since then. Shouldn't this webcam work or should the link be wrong please report that here. You can add this webcam here to myCams.